The Economist is a great source for news, global news, all news. While it coats the truth with more than a patina of political correctness, at least you get news that isn’t about Horny Stormy (CNN) or Sarah Carter and the FISA Court (at Fox News, where only Tucker rocks). … In 2011 only 17 people were killed by firearms. In 2017 the country had over 300 shootings, leaving 41 people dead and over 100 injured. The violence mostly stems from street gangs running small-time drug operations in big cities such as Stockholm, the capital, Malmö and Gothenburg. Gang members have even used hand grenades to attack police stations. Between 2010 and 2015, people were killed by illegal firearms at the same rate as in southern Italy. Though Sweden is still a relatively peaceful place, this is worrying. Gangs are nothing new: bikers and Balkan mafiosi have traded drugs and occasional bullets in Sweden since the early 1990s. But the gangs emerging today are less organised and more prone to commit petty crime. Acquiring a legal gun requires strict screening, but Kalashnikovs from the Yugoslav wars are readily available on the black market. To sweeten the deal, smugglers often throw in hand grenades (there were 43 grenade incidents in Sweden last year). The victims and perpetrators of gang violence are nearly always young men. How to explain the rise of gang violence? It cannot be the economy, which is doing well, or Sweden’s quality of life, which is among the best in the world. And crime in general is in decline. So what has gone wrong? Some blame the refugee crisis of 2015, when Sweden took in the most asylum-seekers per capita in Europe. But shootings with illegal guns have been rising since the mid-2000s. Most gang members are indeed first- or second-generation immigrants—72% of them, according to one report, but they tend not to be new arrivals. It takes years for migrants to be settled enough to be sucked into crime, says Amir Rostami of Stockholm University. Sweden accepted lots of asylum-seekers in the 1980s and 1990s from countries like Iraq, Somalia and the former Yugoslavia. Sweden built them homes and taught them its language, but it failed to integrate them into the labour market. The Swedish welfare system offers good education and generous benefits. But for immigrants there is little social mobility. Powerful unions insist on high wages for entry-level jobs, so firms often find it uneconomical to hire immigrants with limited education or not much Swedish. Today, 16% of people born abroad are unemployed—one of the highest rates in the OECD. Gangs offer frustrated young men an alternative. “They let you feel like a king, even if for one day,” says Mr Rostami. Alarmed, the government has provided additional funding for integrating migrants, imposed harsher punishments for gun crimes and granted a weapons amnesty. Police have stepped up surveillance and co-operation with other European countries to curb weapons-smuggling. In January the Swedish government set up a centre to combat violent extremism. Gangs with grenades in Sweden. “Sweden shooting: Three dead in Malmo cafe attack.” By the BBC News’ telling, the mild-mannered Swedes have taken to starting up gangs and experimenting with banned automatic weapons and hand-grenades. Immigration? Perish the thought. Where are the faces of true evil? Where are the state officials who import this human detritus? 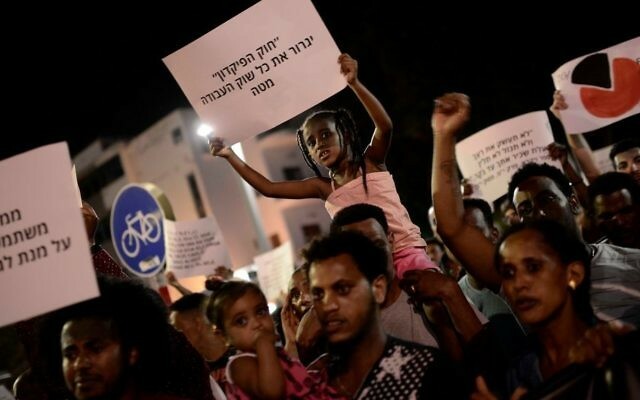 UPDATED (4/6/018): Israel’s African Migrants Are Nicer Than Ours. Do Harsh Policies Breed A Meeker, Nicer Migrant? 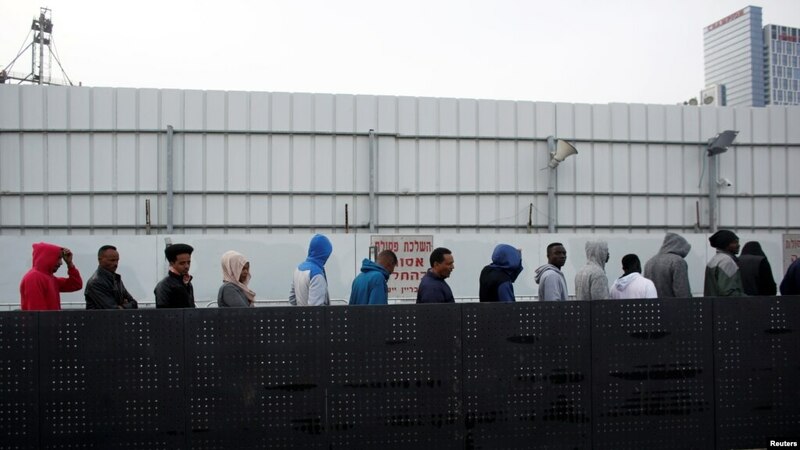 Israel seems to have a better class of illegal African migrant, soon to be deported, than America’s. On the news I heard a few of them speak fluent Hebrew. Hebrew is no easy language to learn. You have to be committed to your new destination to teach yourself this tough language. Impressive. On the other hand, America’s Third World immigrants, for whom the welcome mat is always unfurled, seldom learn the language well. They also behave arrogantly, demandingly and in a way that makes normal folks hate them, not sympathize with their plight. My theory: Setting standards for citizenship, being tough on law and order and making it brutal for interlopers to remain in your country uninvited creates a more dedicated, genial and patriotic immigrant. Someone who wants to please, to belong. The sign below warns against littering. On our Washington-State trails, we beg the masses of migrants traipsing through to “please smile” and “share the trail with others, critters too.” We dare not lay down our rules. Americans are liberal pussies; they beg trespassers to look upon them kindly. Israeli authorities appear to tell trespassers how to behave, unless they want to be tossed out. “Mother Hanane Mouhib Cut Off Her 7-Year-Old Son’s Head With A Kitchen Knife, Police Say.” In New York. UPDATED (2/2/018): Reversion To The Neoconservative Mean On Immigration & In Commentary? Sure Looks Like It. Look, the establishment has never been on the same page as the people when it comes to immigration. So, to talk about a reversion to the neoconservative mean is probably slightly inaccurate. But in 2016, when Candidate Trump was in full Deplorable mode, Fox News would have been less neoconservative on immigration. However, as Fox News shifts back to its neoconservative happy place, no discussion of an immigration moratorium will percolate through the noise on that channel (other than on the great Tucker Carlson’s show). Duly, on January 9, I believe it was, neoconservative broadcaster Tammy Bruce insisted that not sending home Salvadorians temporarily in the US prevents others—Mexicans, Filipinos, Yemenis, in Bruce’s words—from entering the United States. LEGALLY. All this unfolded on The Story with Martha MacCallum. No doubt, President Trump has shifted the immigration debate immeasurably. But I suspect the consensus in the immigration debate will begin to shift back to the pre-Trump era, as Bruce’s imbecilic quip indicates. Although an immigration moratorium is desperately needed, at one million individuals a year—legal immigration will continue to be touted as the American Way. The ONLY way. The objection being to illegal immigration only, and not to the transformative powers of mass immigration. Foreign policy has certainly seen the normalization of neoconservatism, echoed in the hiring by Breitbart of Jerusalem Post columnist Caroline Glick. Glick, whose writing I’m unable to plow through, is hardly an America Firster. However, Deplorables, apparently, need schooling from an Israel First, war-war-monger. I say this as the quintessential (probably the original ), pro-Israel, America First, libertarian, Jewish writer. See “The Titan is Tired,” for an example. Talleyrand? Wasn’t he a slightly diluted, cunning Jacobin, responsible for anti-clergy moves during the French Revolution, which was 100 percent the antithesis of the American Revolution? Indeed, conservatives are duped by and enamored of the modern-day Jacobins.